Instagrammable Year of Hair Ahead! It’s an exciting year ahead at The Chair hair salon in Canterbury, starting with the launch of a beautiful dedicated space for Easilocks hair extension services. The Easilocks system is beloved by clients and celebrities because it requires no heat, glue, sewing or braiding and therefore causes no damage to the natural hair. Assistant Director, Danielle and Senior Stylist, Paris, completed all Easilocks advanced training modules to the highest standard and so The Chair joins an elite group of just twenty salons across the United Kingdom who have been awarded the coveted status of Ambassador Salon by Easilocks. 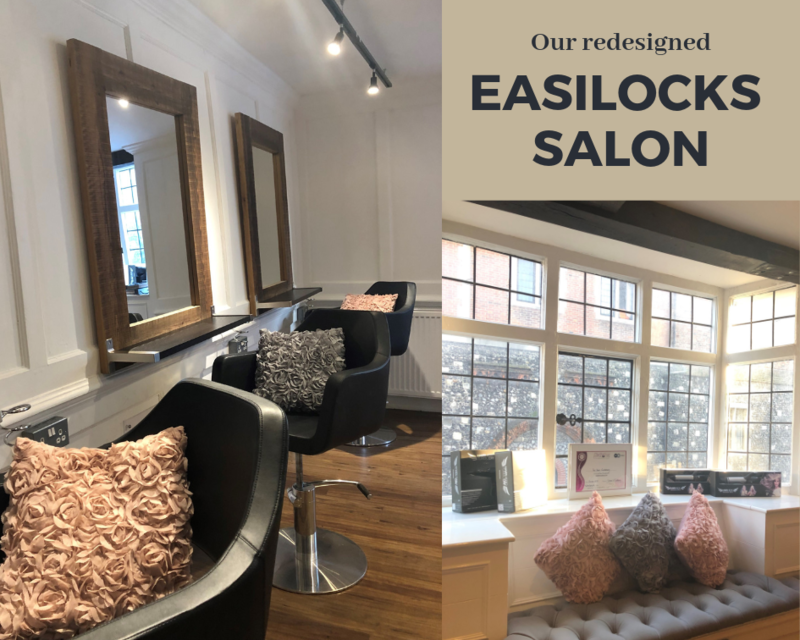 In recognition of their expertise, The Chair have created this bespoke Easilocks space within the salon, with new chairs and décor, where clients can relax and enjoy the process. The space is complemented by a beautiful and highly Instagrammable rose wall – perfect for the ‘before’ and ‘after’ pictures of clients’ glamorous transformations! To book a free consultation call 01227 455545.